The Marshall M4 album has been updated with new photos from Aug. 18-Sept. 17. 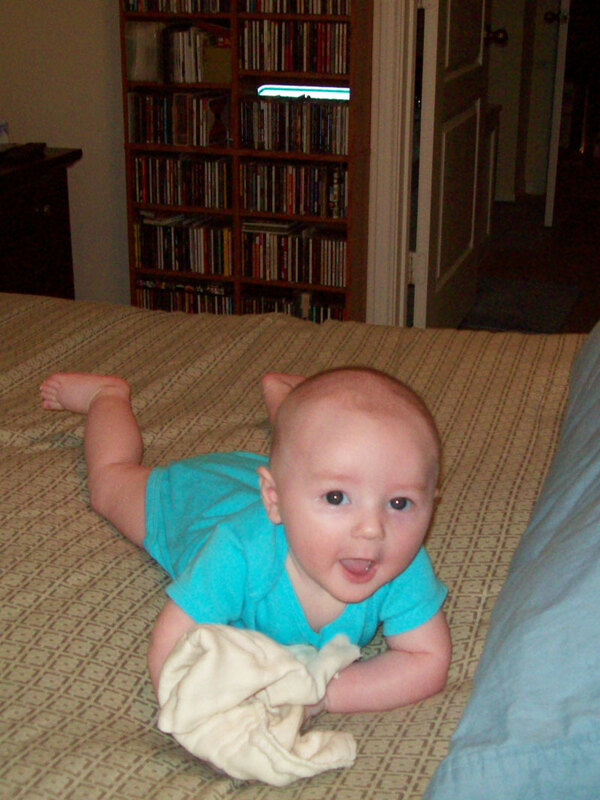 Many of the photos document Marshall’s first attempts at rolling over from his back to his tummy and his ever-increasing desire to crawl. Hello there sweetheart. Grandma and Grandpa Moeller love you so very much. You will be scooting off that blanket before you know it and won’t your parents be surprised! He really wants to go but he hasn’t mastered moving with his legs yet. He’s good with his arms, though.